Purpose-built CAD software for Landscape Architects and landscape designers to produce the highest quality landscape drawings in the shortest time possible with ease. “After using traditional CAD for years, it’s such a pleasure to be using CAD designed for what we do, rather than for engineers – So many creative and time saving options”, George Green. LANDWorksCAD replaces ‘old school’ CAD methods with, more intuitive tools that enhance the design process and allow you to spend less time being technical and more time being creative. Get all the features you expect of high-end CAD plus powerful, productive tools built for landscape design and landscape architecture. Shouldn’t you be using software designed for the work you do? LANDWorksCAD® users are passionate about design and appreciate what the software enables them to acheive. We’re so certain you’ll love it too we guarantee it. “After doing the online training, I’m really enjoying the software. I discover new ways to expand my experience every time I use it.”, Helen Hillier LA. We designed LANDWorksCAD to be the best, and created a product that’s preferred by designers around the world. How did we do it? … We listened to our customers! The way it works and the tools we include are a direct result of user’ requests. We get how Landscape Architects and Designers like to work and we want really happy customers, so you get a ‘Love it or your money back’ guarantee… If within 30 days of purchase and completion of the online training course you’re not completely happy with LANDWorksCAD we’ll remove your license and give you your money back. Enjoy an integrated mix of technical drafting ability with creative artistic license. The unique blend of art and accuracy lets you truly express your ideas in the style you create. “I love that my drawings don’t look like anyone elses. It’s fun working out creative ways to present my work.”, Kath Temple. Landscapers are not engineers so don’t put up with sterile mechanical drawings. You’re not an amateur either so why settle for software that makes you look like one? LANDWorksCAD lets you create drawings that express your own unique style. Perhaps softened plant symbols are your thing, or maybe stylized imagery with pastel tones? Why not use gradient fills and transparency in harmony with a colour palette from Pantone®, Crayola® RealCAD® or create your own. You decide how your drawings look, not the software. You can even use your own hand-drawn images. There’s virtually no limit to how creative you can be. Work alongside other architects, surveyors, town planners and engineers. Import, edit and share files directly with your associates. Never draw twice. Import or insert files directly from your associates. Just remove what you don’t want and keep what you need. Supported formats include AutoCAD® DWG, DXF, CAD, PDF converted to image, JPG, BMP and PNG. Design with Google Maps®, Near Maps®. or any aerial photo or scanned image. Just insert, scale and trace over. Easy. Send your finished drawings directly to your client as a PDF, CAD or image file, or straight to your printer or print shop. No extra tools required. Even if you’ve never used any CAD software before you’ll be up and running in a matter of hours. Just follow the step-by-step online training at your own pace and in your own time. If you need assistance we’re there to help. “…’completed the course over the last two days. Thanks so much for your help. Very impressed. Dani, I hope I didn’t bug you too much?”. LANDWorksCAD certificate training is the same course taught in landscape focused colleges. It will lead you step-by-step from navigating the menu to customizing your title sheet – And everything in between. You get unlimited support from our dedicated team whilst you’re learning too. We really like you to get the most from our software. It’s as important to us as it is to you. Sketch your design to approximate locations and later stretch accurately to the desired positions. Everything associated will update automatically, saving hours of rework time. 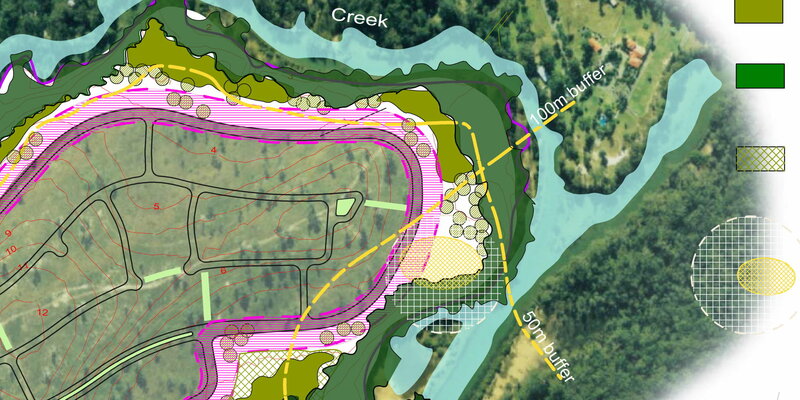 LANDWorksCAD provides the most flexible design environment. Avoid costly errors – Let LANDWorksCAD count the plants and insert accurate schedules and legends. It knows which plants are proposed and which are existing too! Generate an Excel report for getting competitive quotes from your nursery suppliers too. Need to plant out an entire region? Pick a planting pattern and spacing – then click and the job is done. It’s that easy. 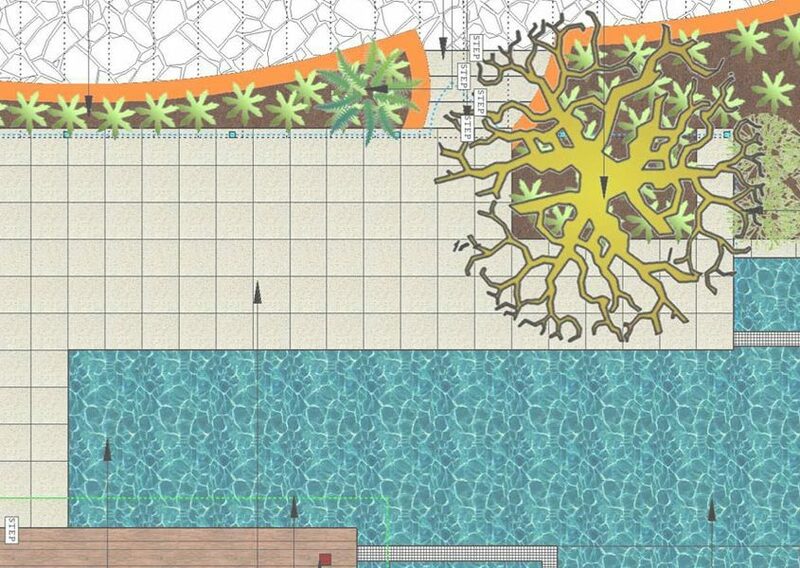 Concept drawings become planting plans and construction documents in LANDWorksCAD without the need to redraw each time – One drawing simply references the other. Even variations of a design can all happen in the same file if desired. Exchange drawings with your associates in common file formats such as native .CAD, .DXF or .DWG and if they don’t have CAD you can export to PDF or give them a free viewer to open, markup and print your drawings. Powerful editing of lines is made possible by the proprietary Magic Eraser™ function. Just press Alt + drag your cursor to trim and delete. 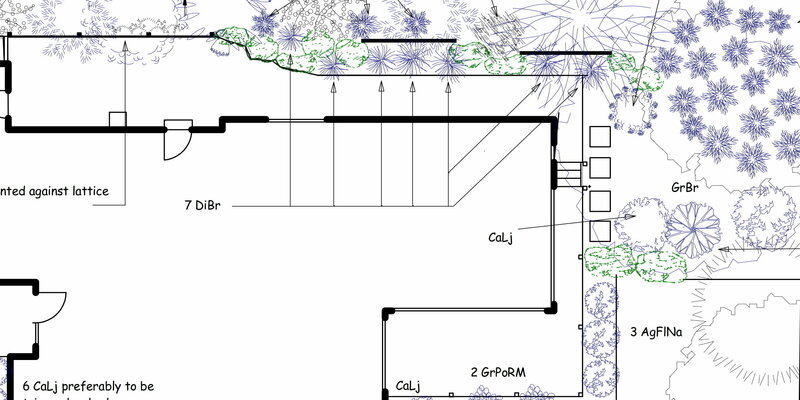 Create sketch plans, concept plans, presentation plans, planting plans, construction details, plant schedules, contour plans, irrigation plans, lighting plans, sections, elevations, presentations, maintenance plans and more. Measurement tools provide accuracy and assist in costing and calculating job requirements with confidence. Areas, lengths, angles and quantities straight off the drawing, even around complex hard to estimate shapes. Want a more relaxed look? Select any group of items and apply randomness. They’ll shift, rotate and scale differently to give a more natural appearance. ArborCAD™ is designed especially for arborists and can be added directly into LANDWorksCAD (added cost). A perfect combination for the multi-disciplinary office. Swap one for another. Labels, schedules, legends and the appearance are updated on your command. Find and replace an entire drawing, a select group or one at a a time. Control is all yours. Use your 2D designs as the basis for 3D directly in LANDWorksCAD (3D version only) or use other 3D modelers such as SketchUp – then include your 3D imagery directly into your LANDWorksCAD drawings. From plant symbols to garden beds to construction details and blocks of notes – save anything to your library for future use. Edit library parts and they’ll update in every drawing or only the current one – you choose. Work directly over aerial maps and photographs. Pick two points, enter the distance and scale anything to true size. Ensures your work is always accurate. You get to choose the appearance for the plants and elements in your design, and can switch from one look to another. You can even add shadows without having to draw them. Choose from a lifetime license that will continue to run for as long as your PC and operating system will support it, or a timed license that you can rent. There is no compulsory subscription and you don’t have to be connected to the internet to use the software. Do you offer payment plans or rentals? Yes. You can choose to buy outright, pay on a plan over time or simply rent the software as required. (Minimum rental periods apply). How is LANDWorksCAD different to CAD? LANDWorksCAD is designed for the landscape industry. It includes all typical tools found in regular CAD but it’s more streamlined processes make it faster to use and easier to master. LANDWorksCAD will completely replace your existing CAD software. You’ll still be able to open and edit any DWG’s you have too. Can I use LANDWorksCAD on a Mac? Absolutely, Both MAC OS/X and Windows are fully supported ‘natively’ so you don’t have to install any special software or run virtual machines or Bootcamp or Parallels. It operates and looks the same in both environments too. You can also swap CAD files from one machine to another so you can have both Mac and Windows in the same office. How long does it take to get the software? Once your order is processed you’ll receive an email with a direct link to download and install the software. It takes only a few hours from confirmation of payment. If you require assistance installing and setting up the software we provide this as a free service. LANDWorksCAD is ideal for users anywhere. Both USA (feet and inches) and metric units are supported. A huge plant database of more than 2500 plants is supplied and can easily be edited or added to, matching your native or exotic species and your nursery suppliers stock. What do I get with Support Subscription? Choose a purchase option that includes Support Subscription and you’ll get our expert help to assist you with both technical and user issues. Outright purchase in a single payment. Purchases in Australia must add 10% GST. Minimum rental period – 6 months.